Trees for Houston supporters and friends gathered Thursday, May 17, to honor the recipients Of the 2018 Arbor Awards. Individuals and organizations demonstrating an exceptional commitment to preserving Houston's green landscape were recognized for their efforts. Among the award recipients were the late Council Member Larry Green for his passion and unwavering dedication to planting trees throughout his district. During his time on city council, Larry Green worked to plant over 4,000 trees. Our very own Bill Burhans, Conservation Chair of the Willow Waterhole Greenspace Conservancy , was honored for leading volunteers to plant hundreds of trees at Willow Waterhole. 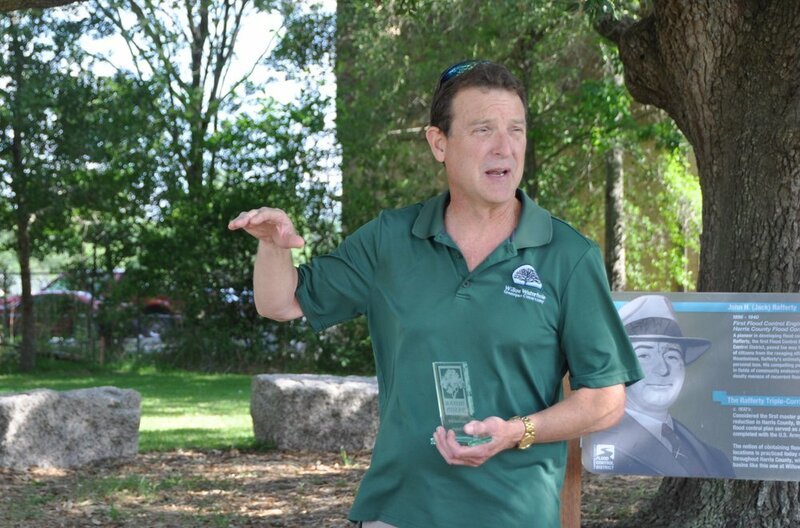 Trees for Houston Executive Director Barry Ward presented the awards. Established in 2000, the Arbor Awards recognize Houstonians who have demonstrated their commitment to planting, protecting and promoting trees. Nominations are received from Trees For Houston members and voted on by the board.